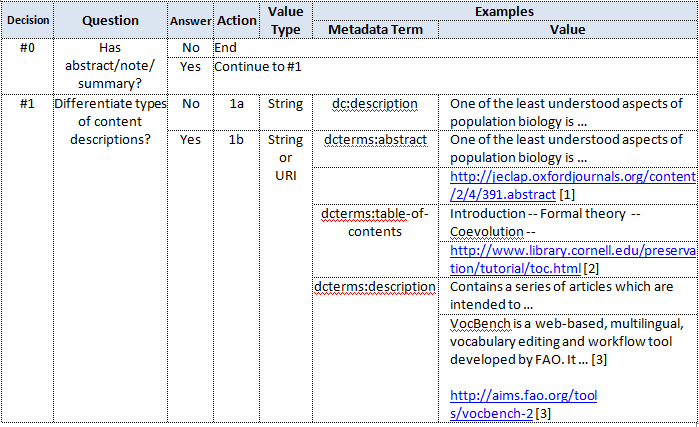 Relation with a resource being described: Resource has description, abstract or table of contents. 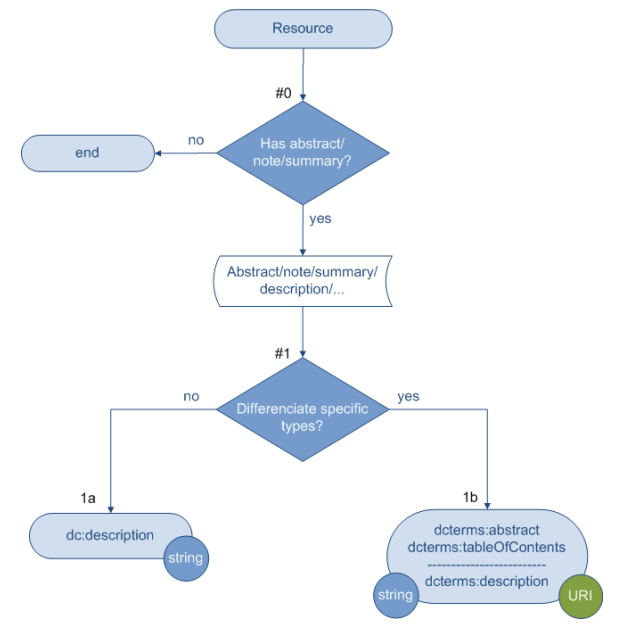 In describing the content, different words might have been used, such as “abstract” vs. “note”, or “description” vs. “summary”. A table of contents may also be presented in a description. The URL is the abstract of a report “Transatlantic Airline Alliances: The Joint EU–US Report” published by Journal of European Competition Law & Practice (2011) 2 (4). The URL is the Table of Contents page of Moving Theory into Practice: Digital Imaging Tutorial, Cornell University Library/Research Department, 2000-2003. Both the text and URL are from the VocBench Webpage, FAO of the United Nation.